In this debut fantasy novella, a reprobate dies unexpectedly and finds heaven to be a surprising and challenging place. Self-confessed con man Jimmy, a 64-year-old whose motto is to “look and be cool,” congratulates himself on securing a spot in a high-class retirement home. While having lascivious thoughts about his brother’s girlfriend, he’s struck down by a heart attack. The next thing that Jimmy knows, he’s in heaven, where he’s greeted by old friends and beloved relatives. Soon after his arrival, he’s whisked away for a rest in a “cloud cube” before embarking on a series of assignments designed to elevate his angel status. As he adjusts to the bright, beautiful landscape of his new home, he’s annoyed to learn that his first task is to become the guardian angel of the last person he was thinking about when he died: Maura, the love of his brother’s life. Nonetheless, he begins to overcome his own selfishness to help others find happiness. 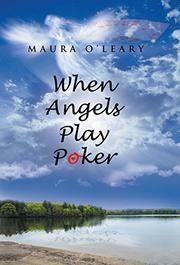 Soon, he learns that the poker games that he plays with other angels to pass the time are about far more than meets the eye. In the acknowledgements section at the end of the book, O’Leary traces the development of her story as stemming from her own spirituality and a Guideposts magazine publication about angels. The resulting narrative is engagingly written, although the language is somewhat repetitive at times—Jimmy’s constant desire to “hang with” his angel friends and family, for instance, becomes distracting. The details of O’Leary’s heaven are whimsical and quirky: many angels wear backpacks; they “snooze-doze” on puffy cloud-beds; they rarely converse; and although God is mentioned, he appears to play a relatively minor role in their existences. One can’t help but wish that the book were a little longer, in order to more completely develop the author’s vision of the afterlife and the angels who live there. An imaginative tale of redemption after death.